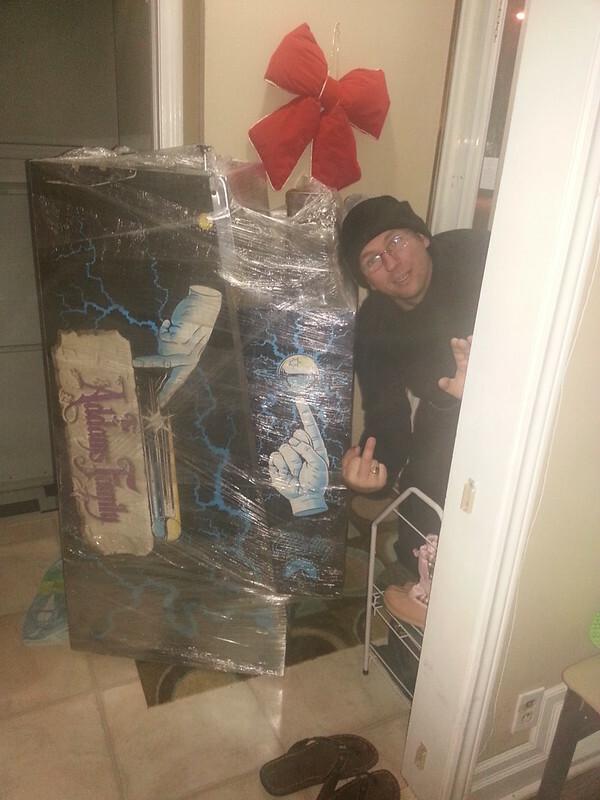 Discussion in 'Pinball Machines / Parts WANTED' started by redturbomr2, Jan 2, 2014. 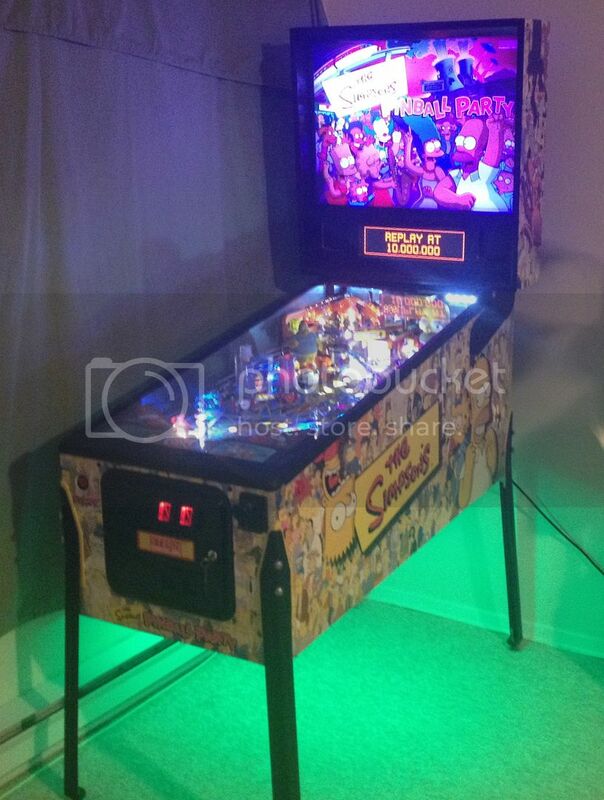 Hey guys, i'm looking at purchasing a pinball machine, i was on pinside but figured i'd try here also since it's a canadian site I'm looking at purchasing a pinball machine. I live in an apt so i'll only be able to have one machine for now. I'd like a machine that has a lot of depth. The game that i'd like to own would be Simpsons Pinball Party cause of the depth and theme, but i'm having a hard time finding one close by. I'm open to offers for other A games. Willing to spend up to 5000$ for the right HUO game, i'm not looking to overpay for something. ps: I have an awesome dj setup that i'm selling to fund for this pinball machine. I have the cash for the pinball machine if i don't sell this in time, but i figured i'd mention it in case someone would like to maybe work out a trade. The info is on kijiji if you're interested. Also might help if you post an accurate location in your profile. Ontario is a big province. Welcome!! There's someone on here selling a LOTR, that's a much better game than TSPP in my opinion. It's not HUO but with the mods it currently has, $5k is the going rate. Also, you have a great taste in cars. Thanks for the replies guys. I don't want to change my title saying TSPP only, cause that's not the only machine that i'll go for. I just mentioned that i would love a game like that. As for my location, i put ontario cause i'm willing to pay for the shipping, i live in sudbury. I understand people say that lord of the rings is a great game, and it probably is, but i've never been a fan of that theme, also not a fan of star trek even though people say it's a great machine. I'd also buy the getaway, addams family, no good gofers, funhouse, white water, fishtales or others..... for the right price. Redturbo, believe me when I say I was never a fan of the LOTR series either. But I heard so much about this pin, I went out and got it (back in October). Love the pin so much, I went out and bought the movies so that I better understand the pin. Now, lo and behold, I love LOTR movies and am hooked on The Hobbit films as well ....go figure, I've got myself on the wait list for The Hobbit pinball. I've never played the Simpsons, but I can tell you LOTR is f'n awesome. I'd also buy the getaway, addams family, no good gofers, funhouse, white water, fishtales or others..... for the right price. I am surprised no one has chimed in on this...but these are not deep games. Very fun, but not deep. They may get tiring in a small collection. It seems like you are not sure what you are looking for. I agree with BigBossFan. I was never a LOTR fan either but the pin did the same for me as well. TSPP is a good pin as well. So is Pirates Of the Carribean and Tron (from what everyone tells me). I understand those aren't deep games, but i like playing them, and they're great games. Once i get bored of it, i'll just trade or sell it when i find something better. I've exchanged a few PM's on pinside with redturbomr2 who was referred to me by some other user I don't know but knows my reputation :twisted: I'm trying my best to guide him and hopefully will find him something that fits his criteria. It's too bad he lives so far up north because my first visit to your place was a real eye opener for me in terms of what I wanted and liked to play. Going to also be hard pressed to find some of these B/W titles from HUO environments or if you do be prepared to pay the premium. Based on his budget I suggested he spend a few hundred more on say a NIB Metalica Pro or Star Trek Pro but neither theme appeals to him. Which is a shame because I use to be the same way and collect based on themes I like but glad I stopped otherwise I would have gotten exposure to games such as Flintstones, Ripley's Believe It or Not, Lord of the Rings, Star Trek The Next Generation and hell I will even throw Baywatch up there. I wish I got to keep this title a little longer as it was a lot of fun and a very underrated game in my opinion. If it had a more popular theme it would be a more highly regarded or sought after title I am sure. I also said I would never spend more then $1500 on a single game and $2000 would be my absolute max. It only took me about 6 months to break that rule with a HUO TSPP @ $3500. I also said I would keep certain games like my first pinball forever and never sell it but there was always something I wanted more. There is some truth to this and almost 2 years later I brought another Demolition Man back into the line up hopefully for good since it is a much nicer example then my first. Given your location this is even more reason to get out there and try more games out because it could end up costing you a lot in gas or shipping fees to rotate out games. 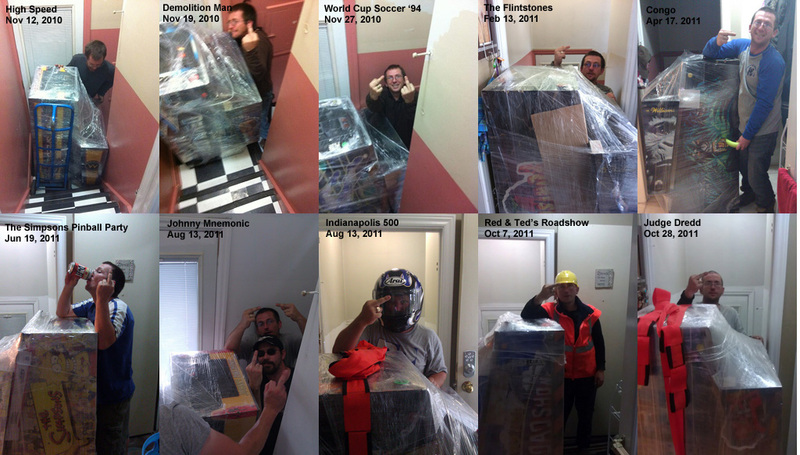 If you ever come into Toronto let me know and feel free to come by anytime and you can try out my collection. i'm not sure why you guys keep saying that i don't know what i'm looking for. 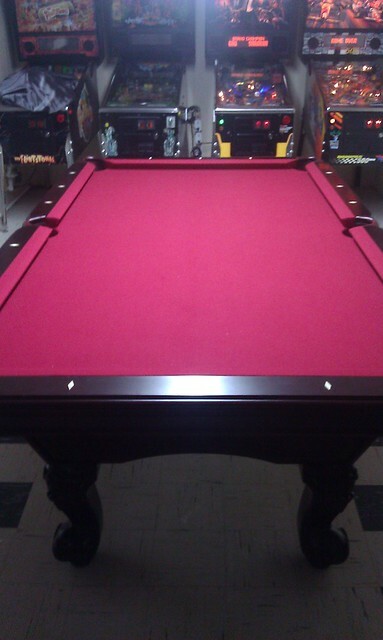 I mentioned those tables since they're commonly seen for sale and that i love playing those games, so i wouldn't mind buying any of those if i found the right deal. I'm sure i wouldn't have an issue reselling it if i needed to either. I mentioned wanting a deep game yes, that's why i mentioned Simpsons Pinball Party, but i never said that's the only game i'd go with. I've owned high speed before, and that isn't a deep game, but fun to play. Waiting for the right deal for a great game that many people don't want to part with can take a while, so i wouldn't mind owning any of the titles i mentioned as i wait. As for me saying that i didn't like the theme in metallica or star trek, you're right about star trek, but i do like metallica, i just don't want to purchase that until the update comes out, to see more of the game. I understand there's many great games out there like LOTR and Indiana Jones, but i just can't see myself owning those titles. Got myself a TSPP and am very happy with it. Was a long trip, but definitely worth it. Congrats!! Looks great. make room for #2. Congrats and glad to hear everything went well. If you only are to have a single pin in your line up then this IS the one to have...very deep and fun. Congrats.